The Techlog software platform enables the integration of all wellbore-centric data types into multi-discipline workflows.The Techlog Wellbore Stability module comprises mechanical earth model (1D-MEM) building, wellbore stability, sand management, and fracture stability computation. GRT system is a comprehensive system which calculates production based on actual measurements taken in the field. Based on tank tables and well test data the system calculates daily production for each individual well. * We monitor all PetroBase Explorer reviews to prevent fraudulent reviews and keep review quality high. We do not post reviews by company employees or direct competitors. Validated reviews require the user to submit a screenshot of the product containing their user ID, in order to verify a user is an actual user of the product. Hi there! 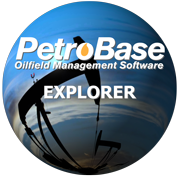 Are you looking to implement a solution like PetroBase Explorer?